Date: February 18 Day: Monday Time: 1:00 - 4:00 pm Instructor: NCC Teaching Artist Description: Join us this President's Day for special pricing on the Crafternoon expereince. 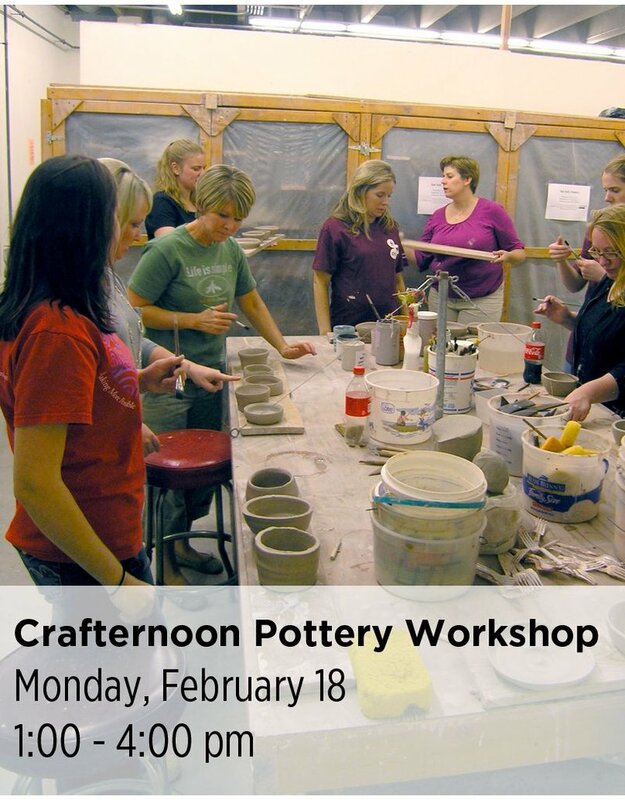 Bring your creative friends and make a few new ones as you learn the secrets of throwing pottery on the wheel. This three-hour workshop is a fun and messy introduction to clay. The $20 fee includes instruction and materials for one adult. Students can expect to make 3 – 5 pots and decorate them using colorful slips or textures. Your pots will be ready to pick up after approximately two weeks.